This Simple & Sweet Coconut Almond Bread recipe uses 10 basic ingredients you already have in your kitchen and makes the most heavenly smell that will instantly transport you to the tropics. I don’t know what it is about coconut that makes me enter a state of bliss and enamourment. If you were to give me 100 different scents to choose from, coconut or some variation that includes it would undoubtedly be my favorite. And it’s not just my favorite thing to smell from candles and air fresheners to sunscreen and mixed drinks, I also love the flavor and texture of coconut too. It takes a lot for someone that isn’t a fan of sweet drinks to even try a fruity cocktail solely because coconut is involved. 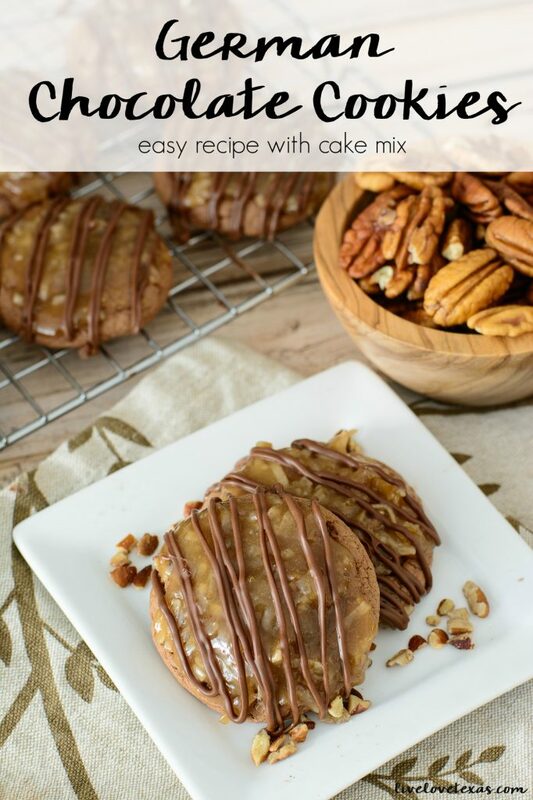 Like in these German Chocolate Cookies. 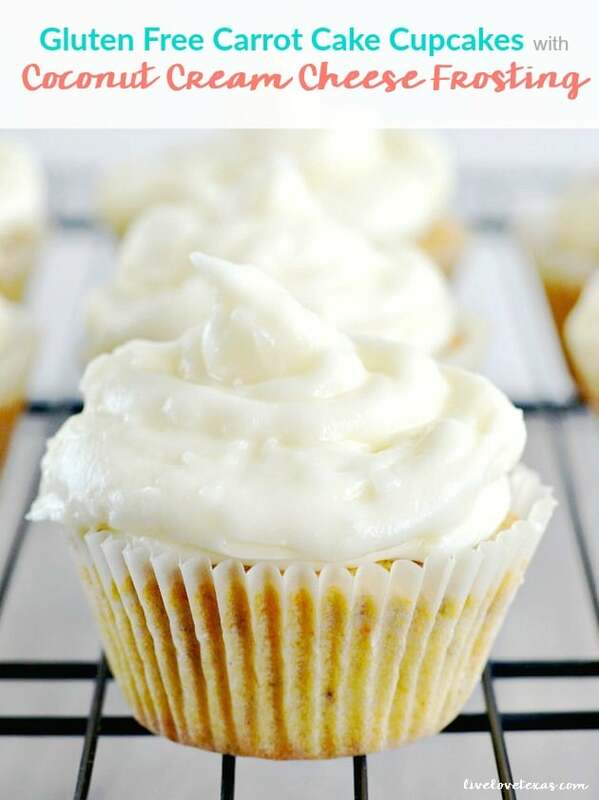 Or, these Gluten Free Carrot Cupcakes with Coconut Cream Cheese Frosting. So when coconut comes together with another one my other favorite nuts (almonds), I’m all in. 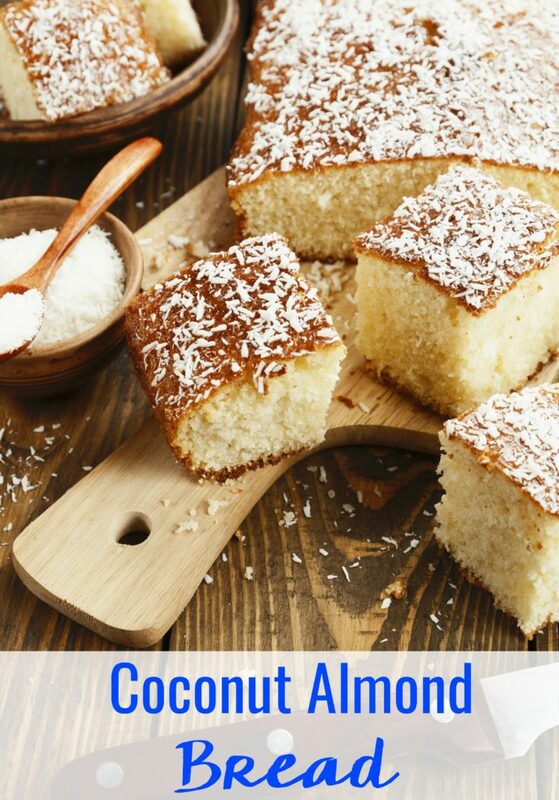 The exotic flavor of coconut along with the fresh crunch of almonds takes boring bread to the next level. 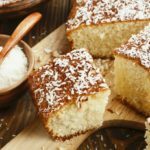 If you’re a fan of sweetbreads or maybe just a coconut obsessed carb fan like me, you’ll love this Sweet Almond Coconut Bread recipe! Preheat oven to 350 degrees. In a bowl put your flour, salt, and baking soda together and stir, and set aside. In bowl or mixer cream your butter and sugar together. Then slowly add in one egg at a time and mix until nice and creamy. Then you want to alternate, the flour mix, and then add a little of the milk and mix until well combined. Add in your extracts, and then coconut flakes. Pour into a greased bread pan and bake for 45 minutes to 1 hour, or until a toothpick goes in and comes out clean. 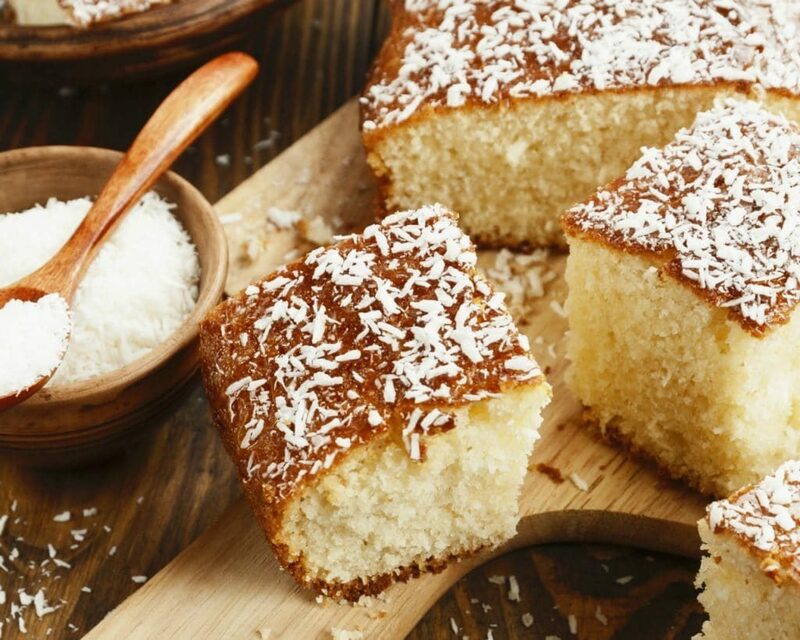 Do you have any tips for making the best simple & sweet coconut almond bread recipe? Share your ideas with me on Facebook here!